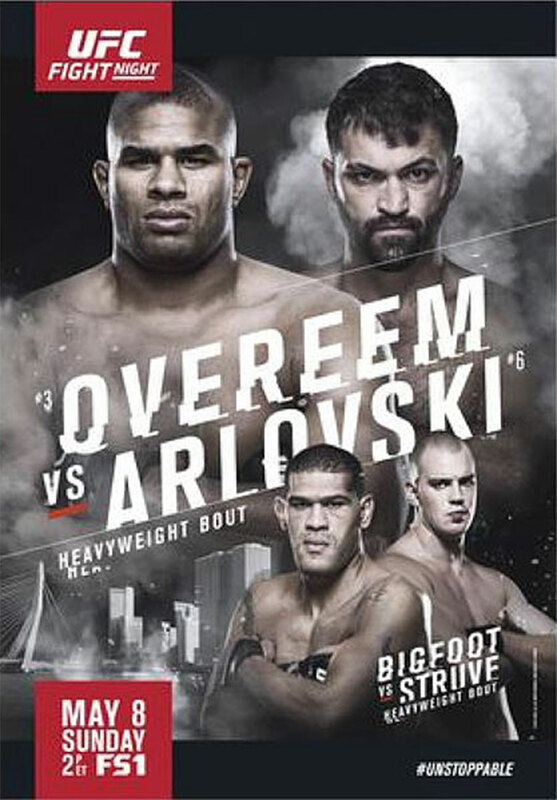 “UFC Fight Night 87: Overeem vs. Arlovski” will be jumping off Sunday inside Ahoy Rotterdam in Rotterdam, Netherlands. UFC Fight Pass kicks off tonight’s festivities by streaming three preliminary bouts at 10:30AM ET/7:30AM PT. Fox Sports 1 will handle everything else from there. The remaining prelims air at Noon ET/9AM PT. The main card begins immediately after at 2PM ET/11AM PT. A heavyweight tango between Alistair Overeem and Andrei Arlovski headlines the festivities. Fellow 265-pounders Antonio “Bigfoot” Silva and Stefan Struve battle in the co-main attraction.